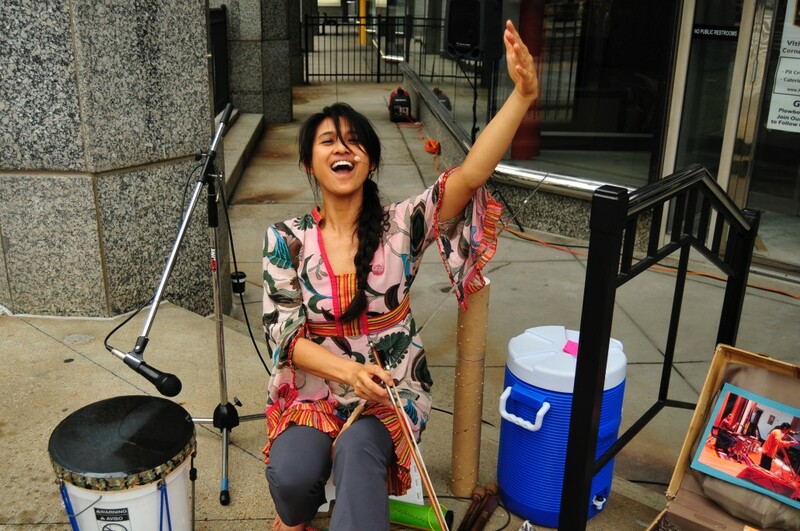 Kansas City’s newly opened streetcar stops are not just a place to sit and wait! 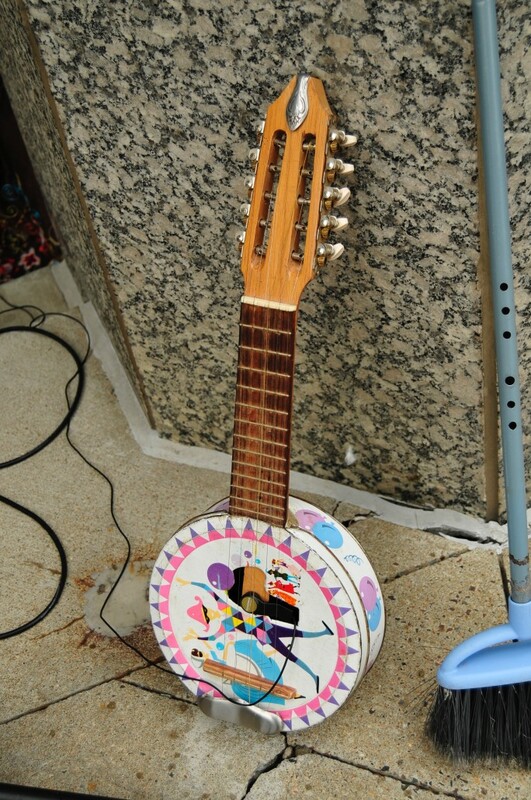 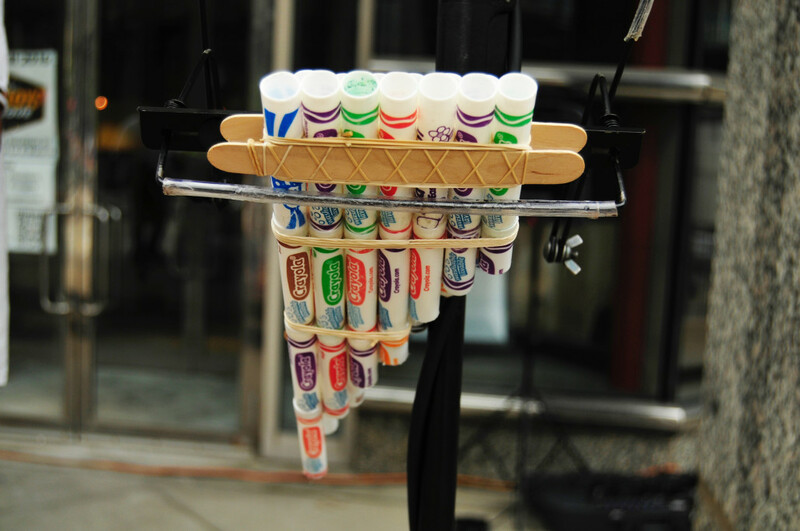 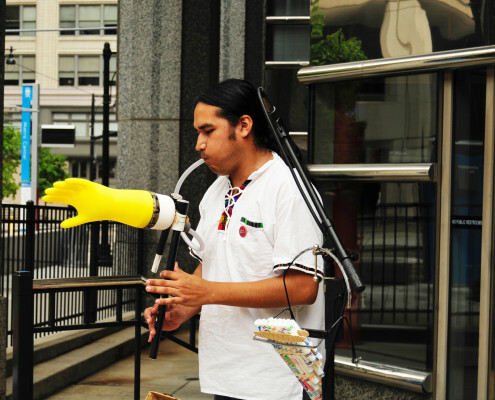 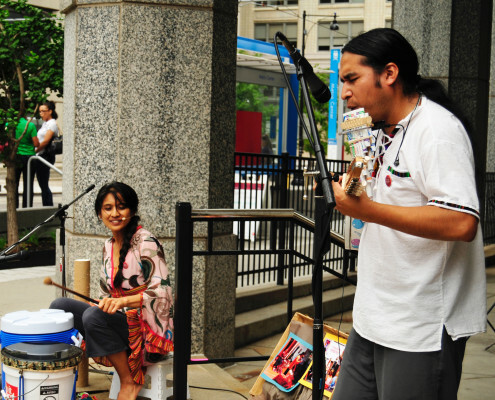 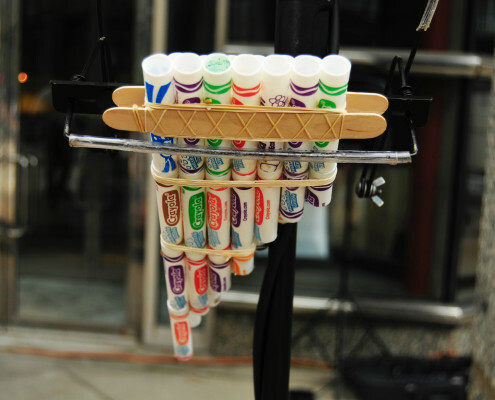 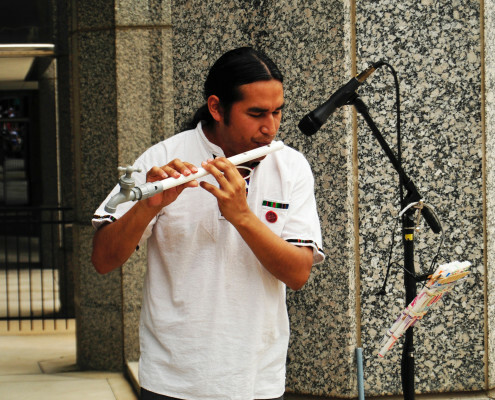 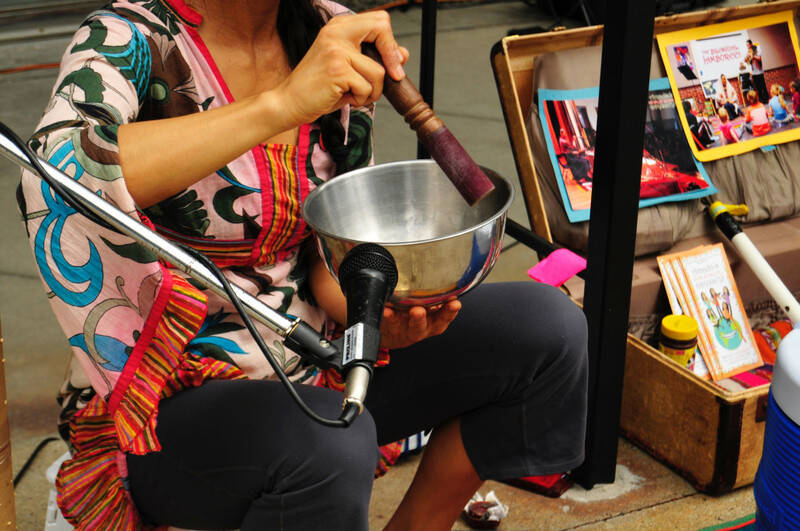 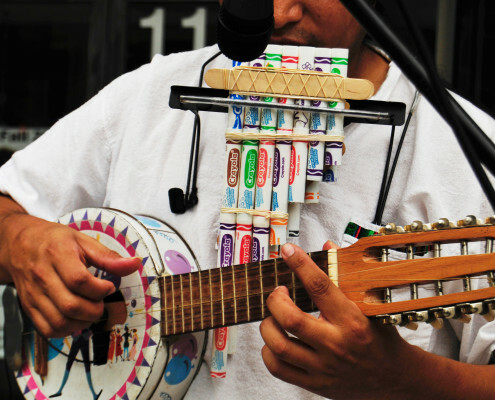 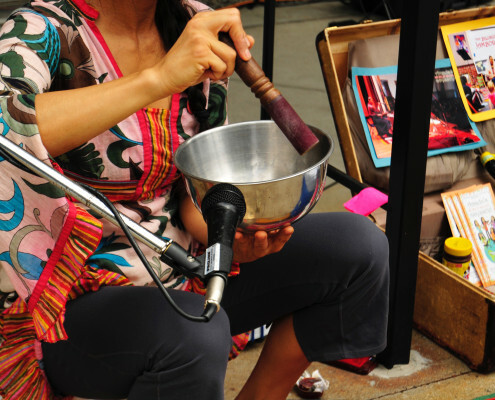 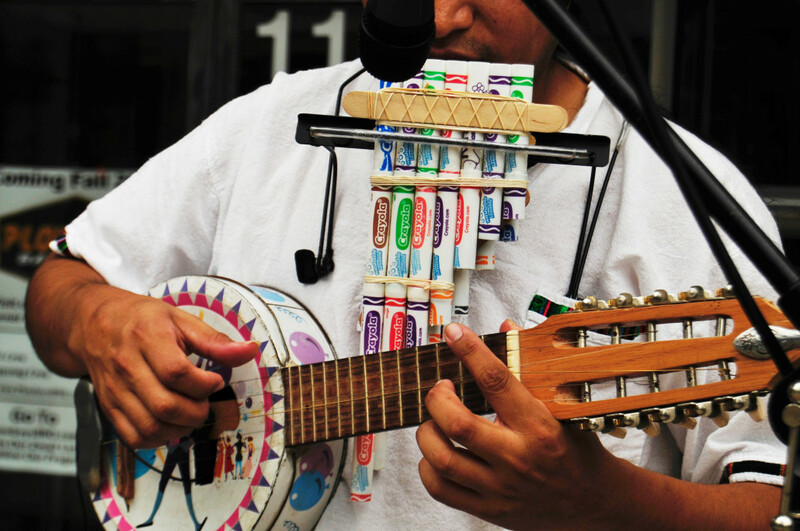 Multi-instrumentalist Amado Espinoza, along with his wife Karen Lisondra, will surprise pedestrians and streetcar commuters alike with their cosmopolitan playfulness, performing music from around the globe – with a twist: their instruments are made from recycled materials and found objects! 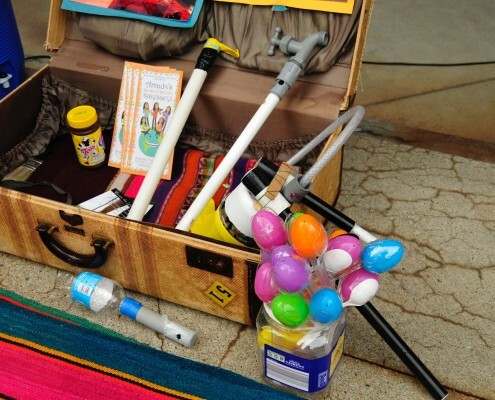 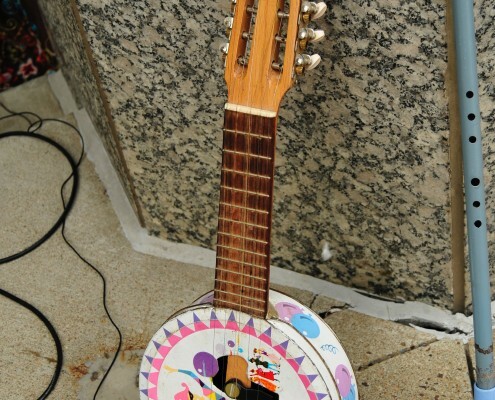 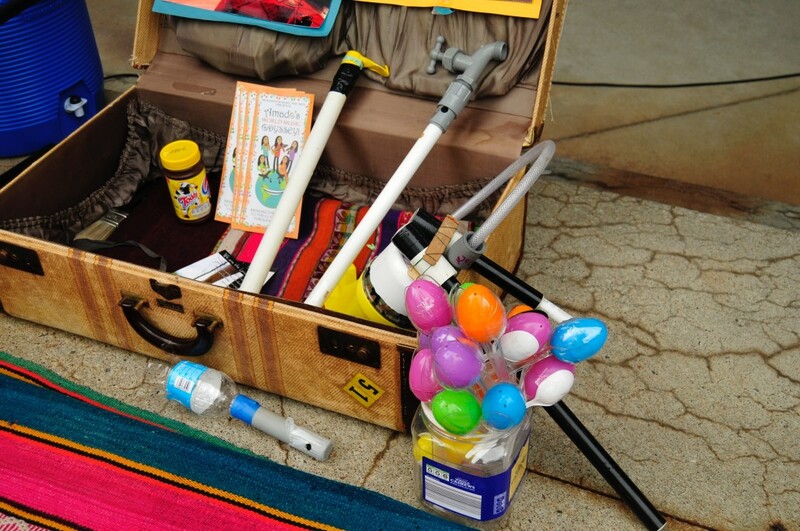 Constructed by Amado himself, you will hear a classical Arabic flute made out of a broom, an Andean pan-flute made from dried-up markers, a Bolivian guitar made from a cookie tin, and much more, inspiring listeners of all ages to use their imagination and help protect our environment. 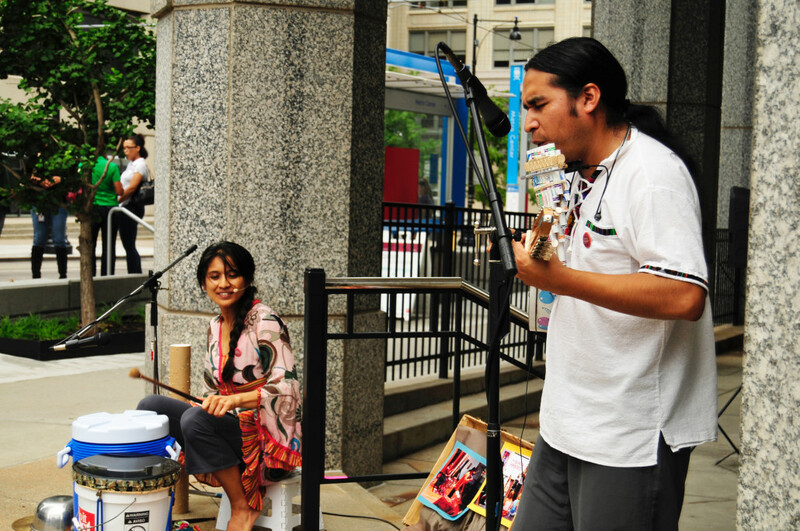 A concert to indulge the eyes, ears, and our inherent necessity to be a little silly (especially on Fridays), it might just make you tap your feet while waiting for the next streetcar, and enjoy experiencing what downtown KC has to offer! 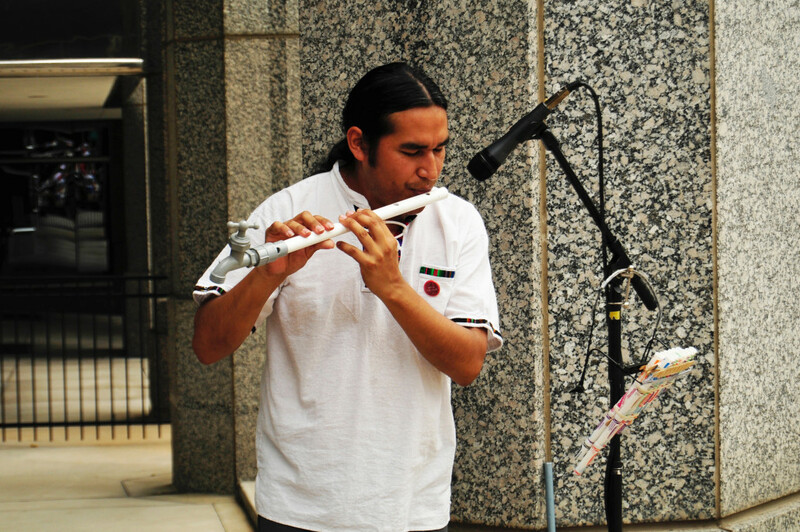 Amado Espinoza’s music is rooted in the spiritual traditions of the Andes mountains, while drawing inspiration from his musical-wanderlust personality. 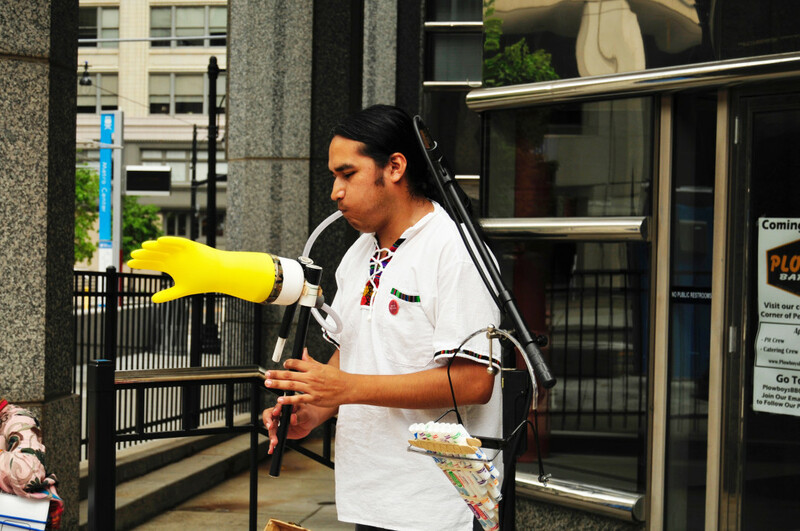 As a current Charlotte St. Resident and recent recipient of an ArtsKC inspiration grant, he is artistic directing and composing for a new theatrical collaboration called “We Are The Landscape” scheduled to debut this fall. 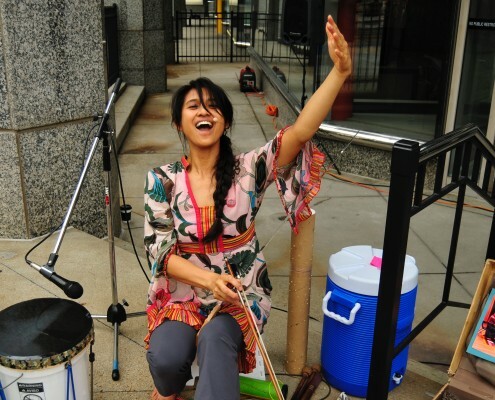 He will be performing with his wife and collaborator, Karen Lisondra, who is back in KC after more than a decade touring the globe with different South American theatre companies.